i have never been a "pink" girl. i actually shopped in the boys section for my school clothes first through fourth grade and wore black high top converse and superhero t-shirts to school, so "pink" was never really in my vocabulary. i still don't wear a ton of it, but i have slowly begun to add shades of pink to my closet and have fallen in love with a few pieces (this pale pink skirt being one of them!) it couldn't have been more perfect as my "easter dress" and it paired so beautifully with a few neutral pieces and a pop of leopard! Lovely - that skirt is so perfect! That is a great skirt and I bet is very versatile! It really is- I love all of Chicwish's skirts for that reason exactly! Super cute!!! Love the pink with the leopard print! Oh.my.goodness. I love this! This looks so amazing on you. 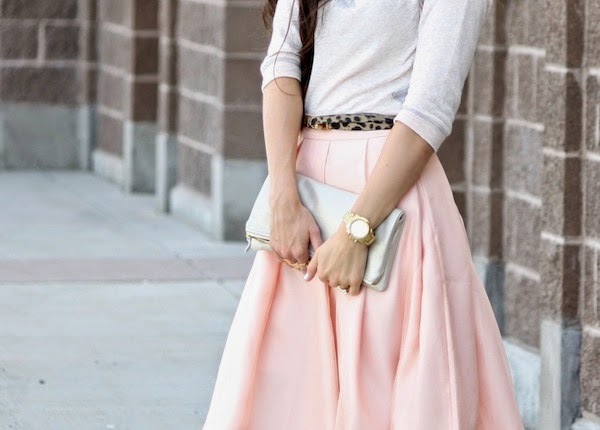 I love that blush color right now and I love the little pop of leopard! Ah, you are so so sweet! Thank you so much! I used to shop in the same department growing up! 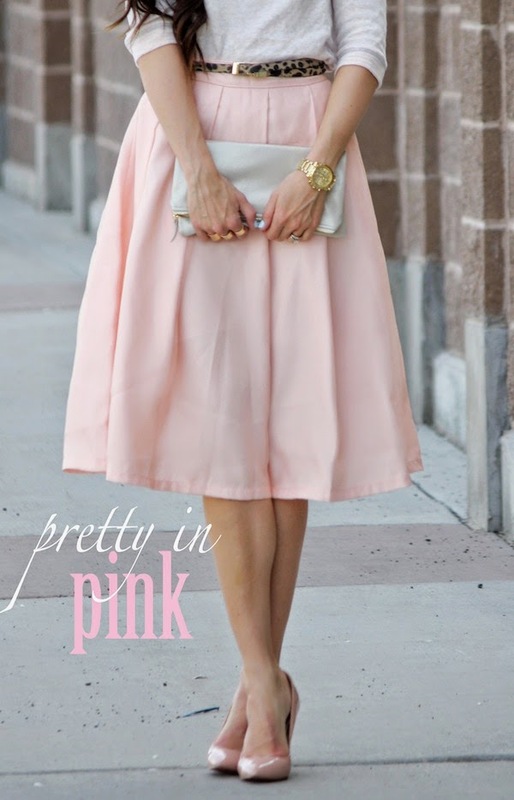 Pink looks amazing on you! LOVE this look! That skirt and belt are gorgeous!